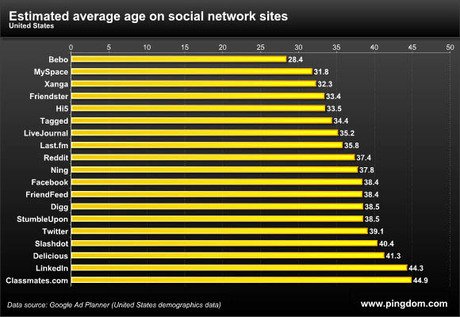 Research into the ages of social network users by Pingdom popped up some interesting results. 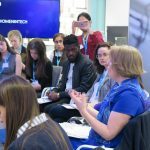 Contrary to what you might expect, the 35-45 age bracket are the most likely to be social networkers, beating both the under 17s, the 18-25s and the 25-35 group. Apparently 64% of Twitter’s users are aged 35 or older and that 61% of Facebooks’s users are aged 35 or older. Also amusingly, about 4% of Linked-In’s users are under 17. 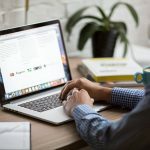 What teenagers go on Linked-In? Get back to Bebo you precocious little upstarts. Enough of this chatting, let’s show you a few graphs. 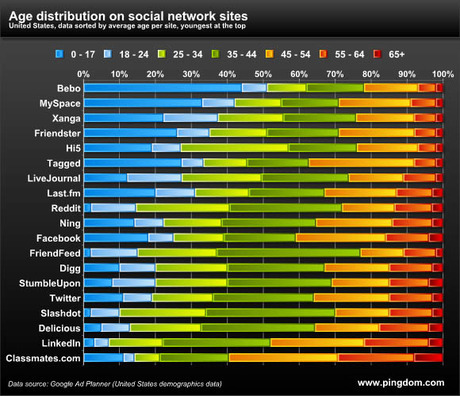 And this shows the average age of a given member on each social network site. Higher than you might think (I guess one or two much older members pushes the average right up), but it’s interesting for putting the different sites in relation to each other.